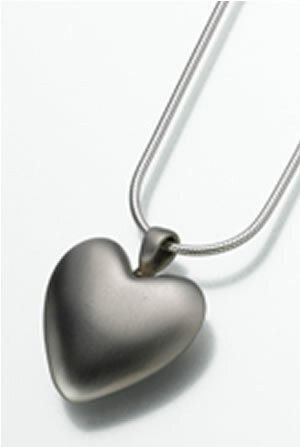 The Bronze Heart Cremation Pendant is available in Bronze or White Bronze. This simple, unadorned pendant has a beautiful soft satin finish on the front and back. The pendant can be engraved for an additional fee. Please limit engraving to no more than 10 spaces per line. Please allow one business day for engraving before pendant ships. DIMENSIONS: Pendant measures almost an inch wide and almost an inch high.